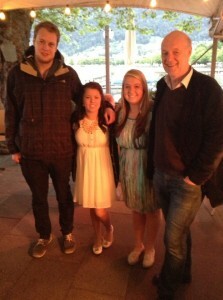 I have spent my entire five weeks here in Bregenz, Austria living with a host family in their home. I just wanted to talk about the experience, ease some worries about living with a host family and give a few tips from my perspective. To be honest, I was completely freaked out by the idea when I signed up for my program. What if they don’t like me? What if Ican’t communicate with them? What will their house be like? Will it be awkward to be staying in their home? 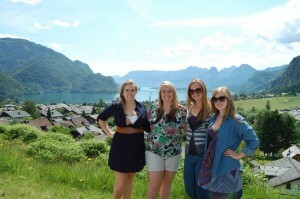 I just had to remind myself that it is all part of the experience and can only enhance my time studying abroad here. One the first day when we arrived in Bregenz, my roommate and I were greeted by a very kind man who we soon found out would be our host father. He so kindly carried our luggage back to the house where we met our host mother. Our new home, only 2 blocks away from the school building, was an apartment style building (common in places like Austria). Our host family occupied the 3rd and 4th floors. On the 3rd floor was their living quarters, with a kitchen, living room, bedrooms, and such and then the 4th floor is where our bedroom, bathroom, and host brother and sister’s rooms were. Very plain (white walls and simple furniture) but very clean and modern. Because we were separated by floors, I actually didn’t see my host family as often as I would have liked. We seemed to always miss each other. But I also had to realize that their lives didn’t stop because we were here. They have jobs, school, meetings, appointments, and hobbies just like any other family. It was never awkward after the first initial meeting; they were very kind and accommodating to all our needs and staying with them really made my experience here in Bregenz. Bring a gift. You will be staying in their home for a month or so. It is polite to bring them a gift from your hometown or state to show appreciation for letting you stay with them. Make your showers shorter. Europeans use less energy in all aspects and it is normal to only have 5-7 minute showers. Communicate. Let them know what time you will be coming home, where you are going on the weekends if you are traveling, if you need anything, etc. They’re your temporary parents and are excited that you are staying with them! Be respectful. There are tons of fun things to do at night, but don’t have too many late nights or be super loud when you are coming home. They have work and school too! Find quality time to get to know them. I had a difficult time with this because I was so busy and so were they, but cherish those moments at breakfast or when they invite you for coffee and cake. Always ask. You want to change the time of breakfast, ask. You want advice on where to go on the weekends, ask. You want to have someone over during the day to hang out or work on homework, ask. Its just polite and courteous. Be prepared to pay for laundry. It typically costs the host family around 3.60 euros to do a load of laundry. Its nice to reimburse them especially if you need your clothes washed a lot. Clean up after yourself. It is pretty self-explanatory, but you are living in other people’s home so make your bed, clean up the bathroom, recycle your trash, etc. And remember, these host families volunteered to have you stay at their home. You are not a burden or a chore. Also, leave a good impression on them so they will give other students just like you a great experience in their home! My host brother, roommate, myself, and host father at our program party! Every weekend during my trip here is Bregenz, Austria, I am able to travel. 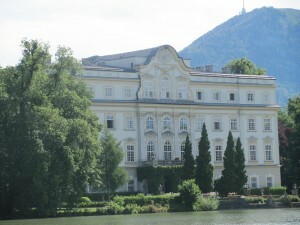 I have been to Munich, Salzburg, Heidelberg, Mannheim, Florence, Pisa, and Venice so far. They have all been wonderful trips and each day is an adventure. But you might ask where I stay or how I can afford to stay in so many places…..well, the answer is hostels. Youth hostels are for students just like you and me that are traveling all around Europe or even the world. (Fun Fact…we actually have some in the US in the larger cities) They are usually for students under the age of 26. Depending on the individual hostel, you will be staying in a dorm like room with a community bathroom or a private room with your own bathroom (which I would recommend for hygiene and safety reasons). The type of room also makes the price vary. Personally, I have paid between 23 euro-40 euro for one night. Many hostels have a 24-hour reception desk, great for safety and late nights out, that are very knowlegdable about the city and usually have a lot of information for students who are working on a budget. Another great thing, all of the hostels I have stayed in have Wifi, which is nice to let someone know you made it to your destination safely and research things to do. Breakfast, discos, pools, and air conditioning are all amenities that I have had the pleasure of enjoying in hostels. Needless to say I would recommend staying in hostels during your stay in Europe or wherever you are traveling! Here are some links to get you started! I am currently studying in Bregenz, Austria, but every weekend we are able to travel anywhere with the use of our Eurail Global Pass. 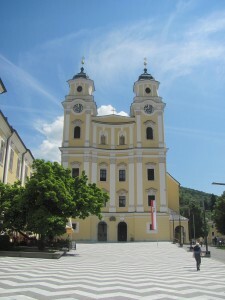 This weekend we spent a day and a half in Munich, Germany and then made our way south to Salzburg, Austria. 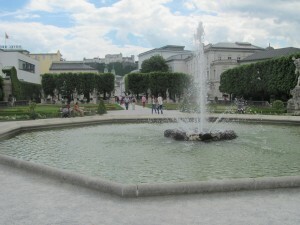 Known for its Lake District, Salzburg is a beautiful city to visit. 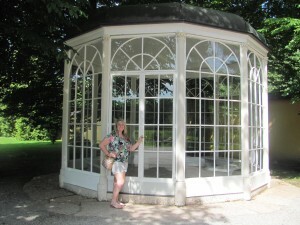 And more importantly…..it is where the outdoor scenes of “The Sound of Music” were filmed.